To Buy or Sell Gold, Silver, Platinum or Palladium Please call or Text 1-801-794-2646. OR click on the chat button below. Our Clients sell through us. They get more money and you pay less! Buy your Gold and Silver or Coins with Drockton Bullion and Coin! Sign up for notifications on our Gold or Silver Deal of the Day! We guarantee the lowest price on all products. With FREE Shipping in the U.S.
We sell US Gold Eagles, Gold Maples, Gold Bars, Gold Krugerands, British Gold Sovereigns, Swiss Gold Francs, US Saint Gaudins Gold Coins and Liberty Head Gold Coins. We sell Silver Eagles, Silver Maples, Junk Silver, Silver Rounds, Silver Philharmonics, Silver Philharmonics, Silver Rounds and Bars. 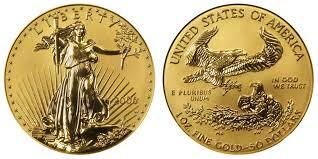 Sell Your Gold and Silver or Coins with Drockton Bullion. 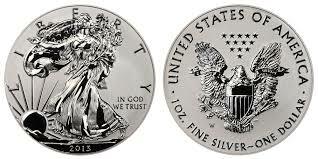 Instead of selling wholesale let us sell your gold and silver or coins. Paul Drockton has a daily radio show with over 50,000+ listeners. Plus we have numerous clients from our decade in business. Please click on the link below to see which items we are currently interested in. Daily Silver, Gold, Platinum or Palladium Specials! Discounted Gold, Silver, Platinum or Palladium from Private Sellers. Discounted Precious Metals are hard to find. We connect Precious Metals Buyers together. This gives you the absolute lowest cost on Coins, Bars, or Rounds. All Specials come with FREE Shipping in the United States! To Browse, click the link below. Your #1 Choice For Buying Or Selling Gold and Silver! Let Us Sell Your Gold or Silver For You! Your Item will priced for a quick sale! Buyer and Seller Never meet Face to Face. Avoid buyers with bad intentions. Safe, Secure and Beneficial for Everyone!